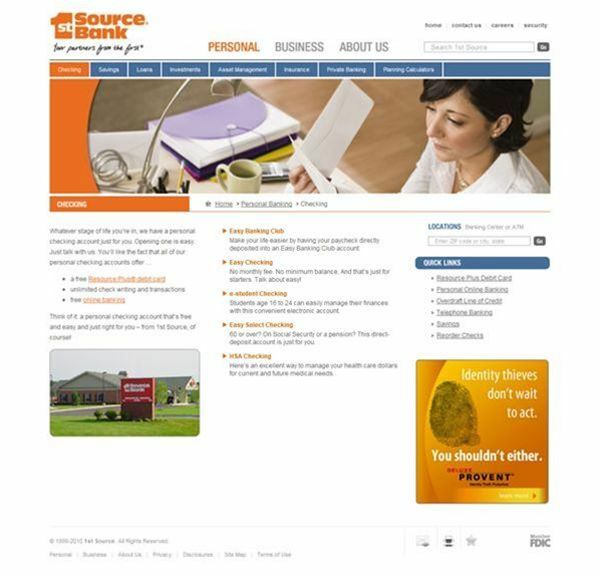 Fort Wayne Web design and development firm Cirrus ABS designed a secure website update for 1st Source Bank located in South Bend, Indiana. 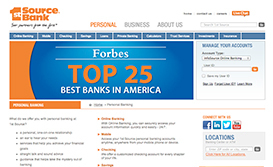 The website provided the bank with a dynamic and custom designed Web presence, including professional content that is geared toward search engine optimization (SEO). Founded in 1863, 1st Source functions as the largest locally controlled financial institution in the Michiana area. Cirrus ABS used its powerful eBusiness Suite to give 1st Source a website that looks professional and is easy to navigate. 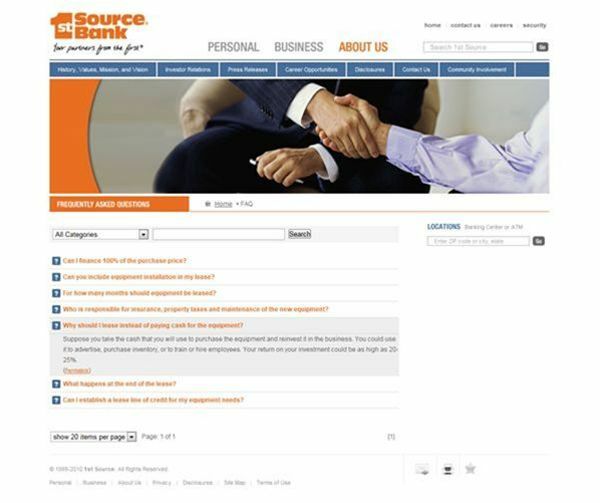 Unlike other websites developed by Cirrus ABS, the 1st Source website required unique security features. The website’s integration with the Online Banking System, which involves an extensive security evaluation, reassures clients that their information is safe online. To remain compliant with federal laws, a series of regulatory symbols – including the well-known FDIC logo – are always visible on the website. Perhaps one of the most useful features on the website is the efficient branch locator. This tool lets visitors search by city, state, and zip, displays branches on Google Maps, and provides each branch with an info page that lists branch-specific amenities. A radius search shows branches in respect to proximity. In addition to managing accounts online, clients are presented with widgets throughout the website. These widgets promote a variety of 1st Source Bank products and services. 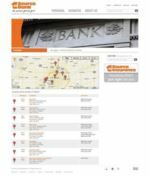 However, the 1st Source website is not just a high-functioning site; it’s also attractively designed - featuring a flash image rotator that showcases the highlights of the bank’s services. The writing staff at Cirrus ABS worked with 1st Source to provide content for the website. Not only do Cirrus’s writers provide professional quality writing, they also focus their writing for search engine optimization (SEO). 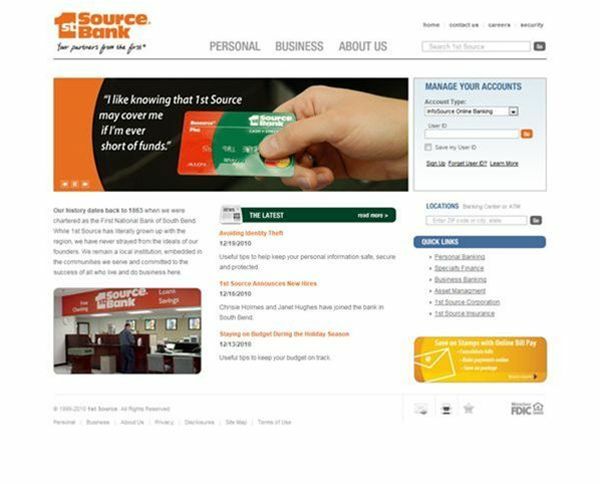 1st Source Bank takes advantage of an ongoing SEO program offered through Cirrus ABS that continues to keep the bank at the top of search engine results.